The seminar on Sulfur Oxide Emissions from Ships was successfully completed on Thursday, July 27th 2017, in collaboration with “Maria Tsakos” Public Benefit Foundation, at the Foundation’s premises in Chios. 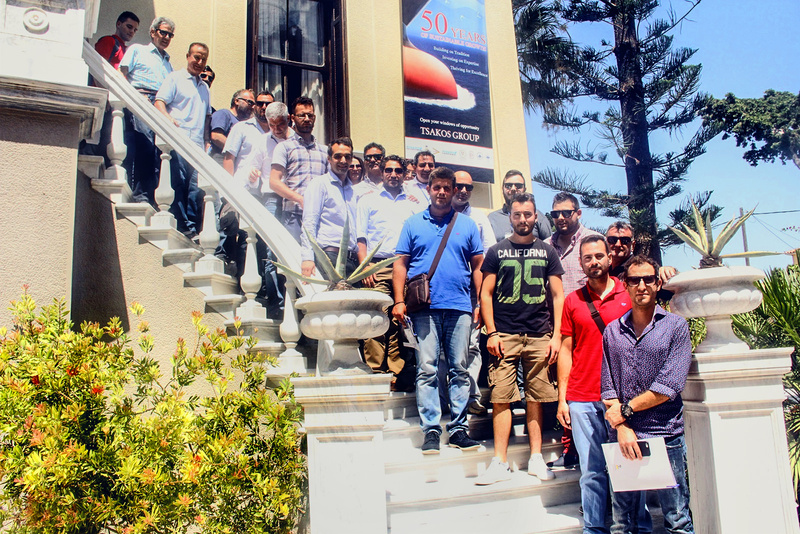 The seminar took place in the presence of the Tsakos Group’s Founder, Capt. Panagiotis N. Tsakos who warmly welcomed all seafarers and other participating delegates. Objective of the seminar was to provide to all Chian seafarers and update on recent industry legislative developments and control practices of emission of sulphur dioxide pollutants and also receive an update on harmonization methods of the vessels. The seminar was successfully attended by approximately 120 delegates, including seafarers, company executives, students of Maritime Academies and Hellenic Coast Guard members. On the evening of the same day, the company’s seafarers as well as executives from the offices in Chios and Athens, attended dinner offered by Capt. Panagiotis N. Tsakos in a warm environment.